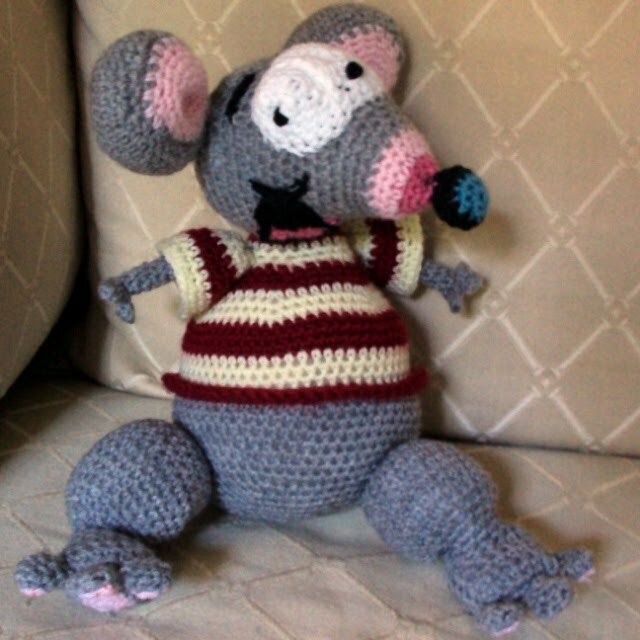 I don't normally spend much time making amigurumi, but over the past 2 days I have been busy creating my version of Toopy from "Toopy & Binoo." (No, I haven't made Binoo yet.) He measures approx. 12" tall standing. The pattern is now available on Ravelry or in my Crochetbury pattern shop on Etsy.